January | 2019 | Mike Lamberti, From Margate To Cleveland, And Back ! Feb. 1 marks 40 years since my first ‘Buc Shots’ column. In January of 1979, then-Times editor John Jurich approached me about writing a sports column for the Belleville Times. I had been writing for the paper a few years, since my first article back on Oct. 2, 1975, when I was still a student at Belleville High. After graduating high school and starting college, I had stayed on to write sports articles, mostly track and cross country, since I had run both sports in high school. In the fall of 1978, I was asked to cover all the sports at BHS, which I was more than happy to do. John Jurich, who also edited the Nutley Sun, thought it would be good to have a sports column in Belleville, similar to the format in the Nutley Sun, which had a tremendous columnist in Jack Suffren. 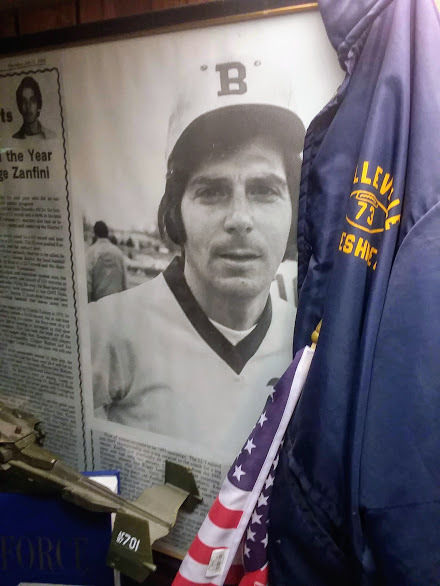 I was always grateful to my high school journalism teacher at Belleville High, Susan Weintraub, who allowed me the opportunity to write a column for the student page of the Belleville Times called ‘Lamberti on Sports‘, in 1975 and ’76. I learned a little something about writing a column, and the opinion format, which of course is different from straight news reporting. So, when Jurich asked me if I’d like to write a column for the actual newspaper, I said sure. And John thought the perfect name would be ‘Buc Shots’, because the Belleville High moniker had just changed to the Buccaneers the previous fall. I was a sophomore at Fairleigh Dickinson University on Feb. 1, 1979, when my first Buc Shots column was published in the Belleville Times. It was headlined “Fuccello’s girls out of the shadows“, which was a piece on the up-and-coming Belleville High girls’ basketball team, led by head coach Karen Fuccello, which was beginning to make a name for itself. That ’78-79 team would finish 16-7 and a few years later, the program really took off, led by Jennifer Apicella, Dina DeAquino, Loreli Wells and Tracy Buono. Apicella was one of the top three athletes I’ve covered at BHS. She scored 3,105 points in 100 career games, and this was before the advent of the 3-point basket. She played her senior year with multiple injuries, including a broken wrist and more air casts on both her ankles than she’d like to remember. Jennifer set the state scoring record in 1984, and it’s hard to believe it’s been 35 years since that happened. The record was 2,745 points, which she eclipsed at Bayonne High, in February of ’84, and before the end of that season, Jenny would surpass 3,000 career points, in a home game against Morris Knolls in early March. 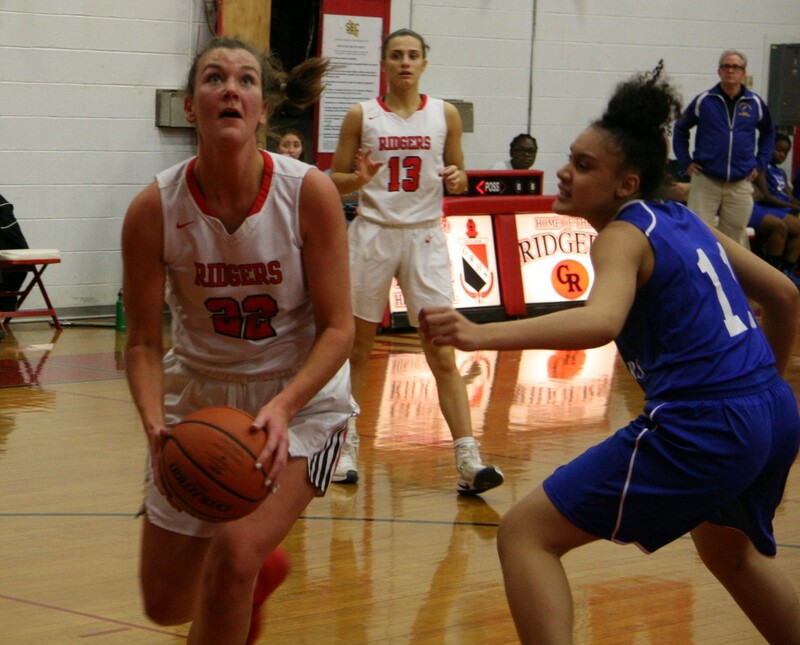 Jen held the state scoring record for nearly eight years and still ranks among the all-time high school scoring leaders in New Jersey, for boys and girls. 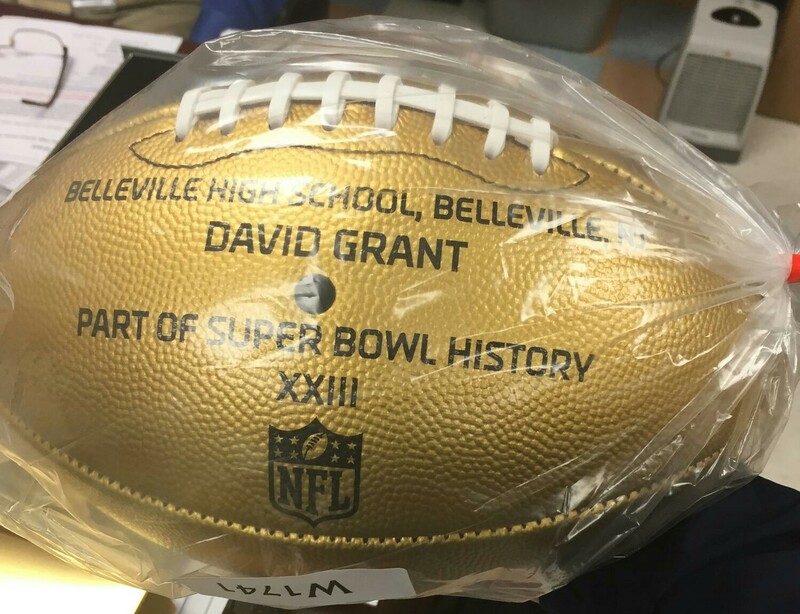 There have been so many outstanding athletes and coaches to come through the doors of Belleville High since I started writing the column, and, of course, great ones prior to my time here. Trying to mention them all means I’ll forget someone, but I want to remember some nice moments. 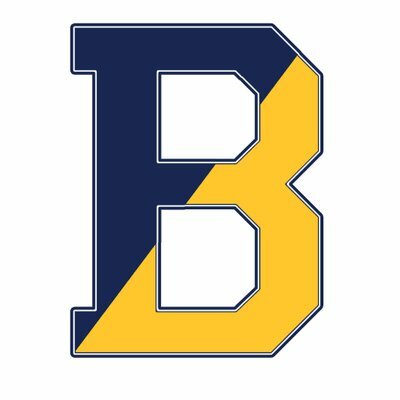 Also, a quick thank you to some of the athletic directors at BHS I’ve known over 40 years, most notably Jim Silvestri, Tom D’Elia and Dan Sanacore. When I think of BHS football, John Senesky comes to mind right away. John was not only a great player during his days at BHS from 1961-1963, but he’d come back to be the freshman coach for five years, and then the head coach from 1977-1996. Along the way, he led some pretty good teams, including the 1979, 1980, 1982 and 1984 squads, all of which made the playoffs. When it comes to players, I think Frank Fazzini is the best all-around athlete I ever covered. From 1979-1982, he was the man, both on the football field and the baseball diamond. Frank went on to Florida State and is now a member of that school’s Hall of Fame, for his incredible baseball career. Frank also played professional baseball in the Milwaukee Brewers organization. Tony DeAquino has been a long-time friend, as well as a marvelous boys soccer coach at BHS. Tony is class, all the way, and I hope he knows how much I think of him, especially after the passing of his daughter, Dina, in 2018. Dina was a phenomenal athlete, in tennis, basketball and softball, for the Bucs, and went on to a Hall of Famer career, on the collegiate level, in softball at Montclair State. 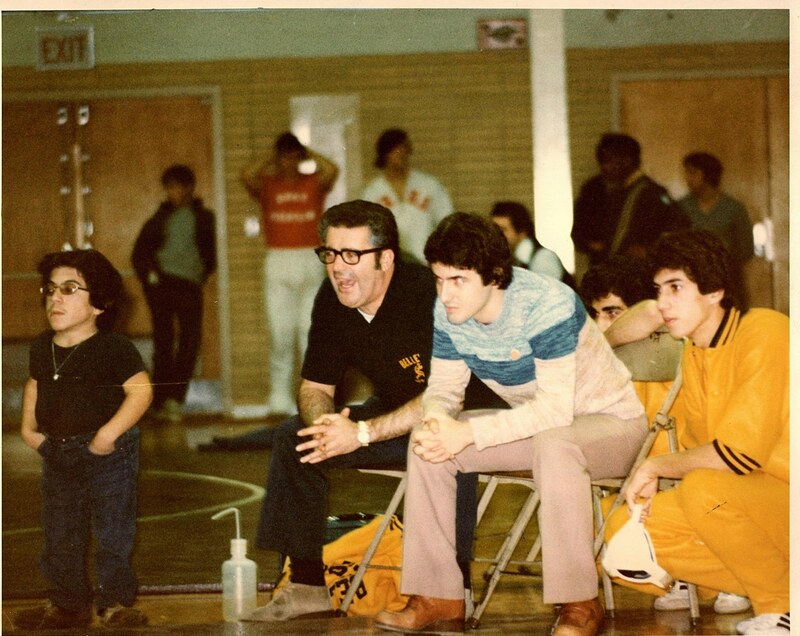 Sam Giuffrida was a great crew coach at BHS, before his untimely passing in 1989, at the age of 46. During his tenure, Belleville’s girls won three national titles, in 1982, 1984 and 1985. In addition, Giuffrida’s boys shell captured the Stotesbury Regatta in 1976, and was later inducted into the BHS Hall of Fame. George Zanfini was another legend who I loved to cover. He led the Bucs to the school’s only Greater Newark Tournament baseball championship, in 1981. I was honored to be the emcee in 2008, when the baseball field was named in his honor. Sadly, George died in 2015, but his legacy will last a long time. One of George’s good friends was Carl Corino, who was also a Hall of Fame coach, in softball, at BHS. The softball facility at Clearman Field was named for Carl in 2016. 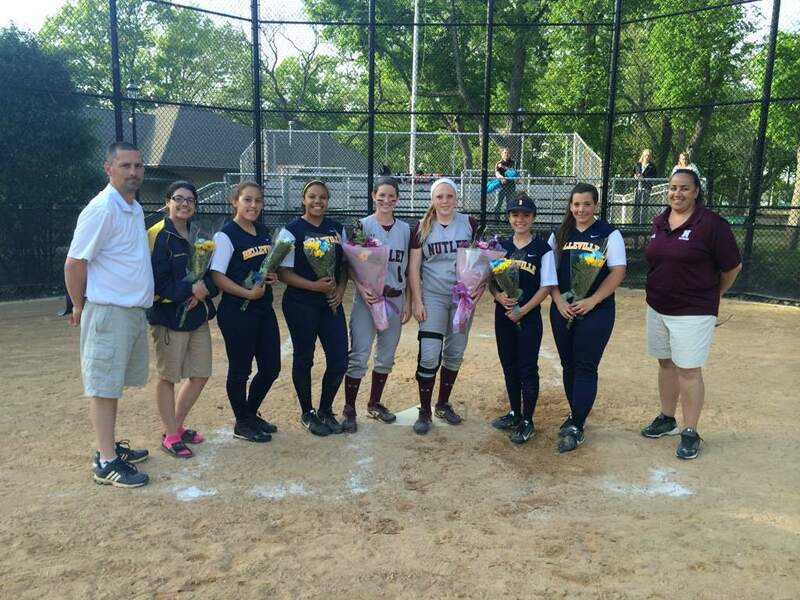 Corino won over 500 games as the head coach, along with three county and two state sectional championships. 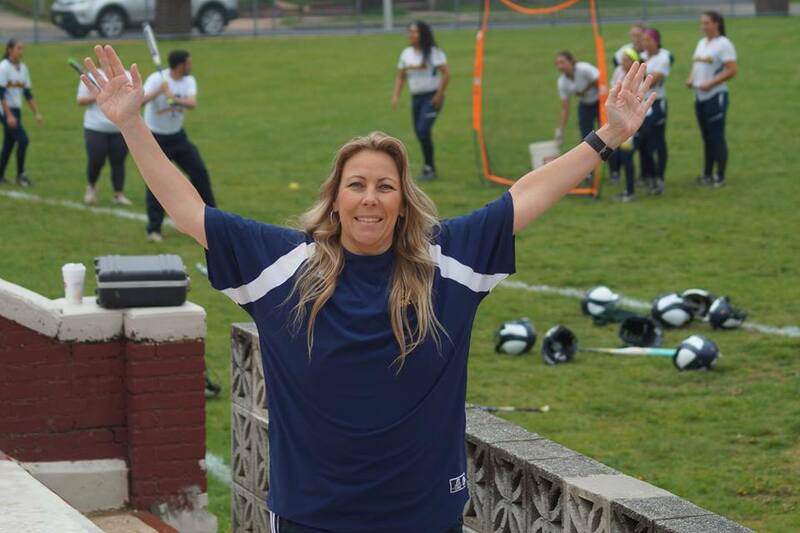 Corino’s last state championship team was in 2001, when the Bucs, led by Kristin Wilson, Gianna Immersi, Jackie Velardi and Melanie Troise had a tremendous late-season surge to win the section and play in the Group 4 final. Wilson is, without question, one of the five best athletes I’ve covered. 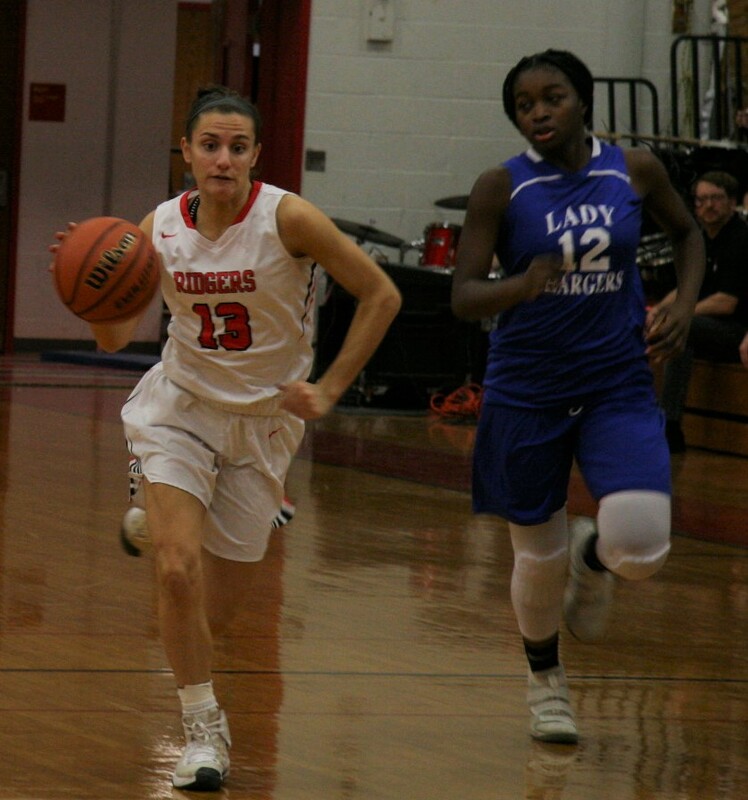 A year earlier, Anabel Rodriguez had a standout season in softball and basketball, including her 1,000th career point on the hardwood. Rodriguez joined Apicella, Simone Edwards and Laurie Dondarski in the 1,000 point club for BHS girls hoops. Phil Cuzzi has been a close friend for about 20 years and seeing him umpire Game #1 of the 2017 World Series was something I’ll never forget. Phil, a 1973 graduate of Belleville High, worked long and hard for the chance to be a professional umpire and overcame many obstacles to reach the top of his profession. Wrestling, of course, has long been a popular sport at BHS. 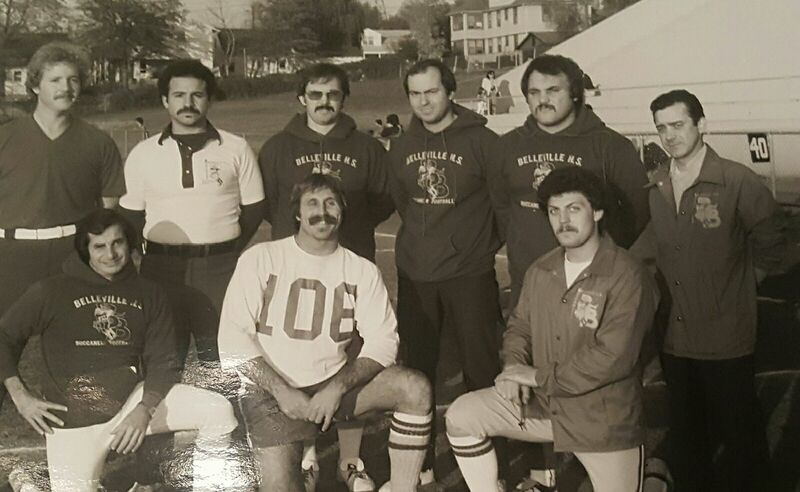 Joe Nisivoccia and Gene D’Alessandro had extraordinary coaching careers for the Blue and Gold. The program has five state champions to its credit, including Chris Musmanno, Armando Nardone, Emilio ‘Junior’ Nardone, Belleville’s only 2-time state champ, John Perna, who won perhaps the most exciting match in school history in the 1995 state final, and Anthony Conte, the last state champ, to date, from BHS, who captured gold in 1996. Conte is also the lone wrestler in BHS history to win four state medals. 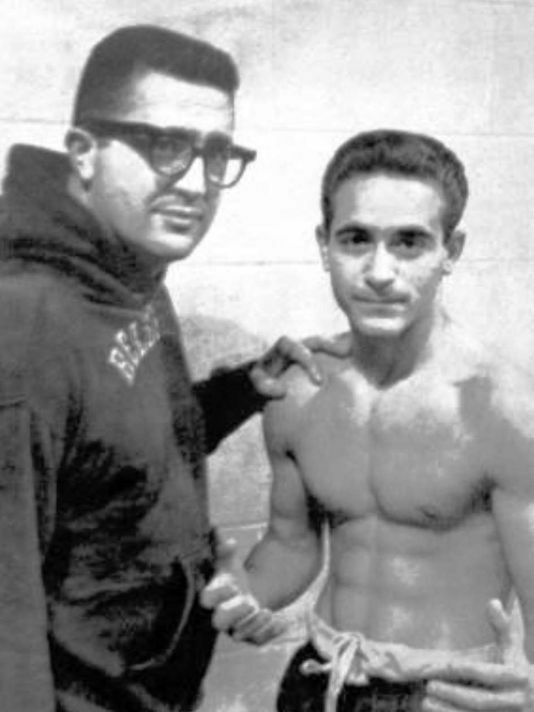 Later, Filiberto Colon would become the school’s all-time winningest wrestler, with 154 wins, and after that, younger brother Justin Colon surpassed Filiberto’s record, winning 163. Ted Sochaski became Belleville’s all-time leading scorer in boys basketball in 1988, the same year the program won 15 games. Sochaski later coached at his alma mater and did an excellent job, including a 15-win season in 2012. Sochaski is one of eight players to score 1,000 career points at BHS, for boys hoops, joining Abdel Anderson, Wayne Bubet, Phil Colalillo, Leon Puentes, Troy Talmadge, Dennis DeWork and Lucius Millinder. The fact that there hasn’t been a track at Belleville High for the better part of 30 years is a disgrace, and goes to show the incompetency of the township, or the school board, who whoever wants to take credit for owning the facility this week. And despite the program being treated like second-class citizens, Belleville has had some tremendous athletes, as well as a great coach in John Tosato. I also enjoyed working with Scott Herman, who did an excellent job after Tosato retired as a teacher and coach. Mike Early is currently the longest-tenured coach at Belleville High. I first met Mike when I was in the seventh grade at Belleville Junior High and he was a history teacher. It’s great to see Mike still coaching. I covered John Spina and Chris Cantarella as athletes at Belleville High and today cover them as top notch coaches at their alma maters. Any time I went to Belleville High, I was always greeted with a smile by Judy Apple, a wonderful administrator and better person, who passed away a few years back. I miss her a great deal. Joe Petrillo was an excellent principal at Belleville High, as was Joe Ciccone, who was my seventh grade teacher way back when and was eventually the superintendent of schools in town. 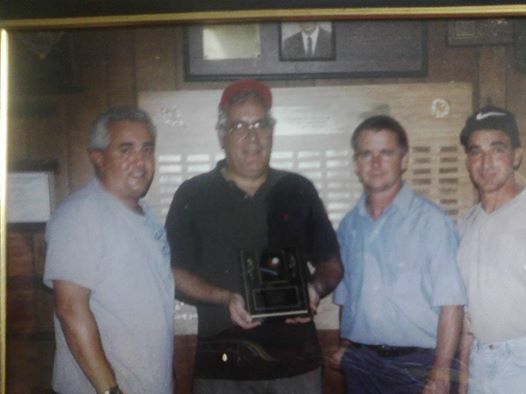 In addition to writing, I was also a trustee on the Belleville Board of Education from 1989-1990, and worked with some tremendous people, including then superintendent of schools Michael Nardiello and assistant superintendent, Michael Lally. Belleville High retired the numbers of four great athletes over the past three decades. Apicella’s #22 was retired while she still was playing at BHS, in 1984. The next number retired was also #22, for the great Rich Luzzi, in football, in 1999. In 2011, Abdel Anderson’s #15 was retired, for basketball, and Jack Cullen’s #19 for baseball, in 2013. Cullen is the only Belleville High grad to play in the majors, having pitched for the New York Yankees in the early 1960’s. I’ve worked with some great editors, administrators and writers since 1975, including my first editor, Chuck Jackson, along with John Jurich, Michelle Jeannotte, Ed Caparrucci, Steve Politi, Steve Patchett, Juliann Walsh, Nancy D’Uva, Carmela Senesky, Dave Salata, Diane Lombardy, Maria Paladino-Fitz, Melanie Endres, Jen Endres, Helen Maguire, Steve Galvacky, Mike Perrota, Nelson DePasquale, Fred Zolla, Patty Theodore, Rob Celentano, Heidi Suchomel, Shirley Reid, Paul Smith, Eric Quinones, Nicole Canfora, Marie Towey, Anthony Buccino, Jaye Tarantino, Russ Roemmelle, Mike Lawson, Nick Gantaitis, Natalie Waldron, Phil White, Donna Abbate, Michelle Delmaster, Lurie Silberg, Karen Lynch, David Diaz, Kathy Hivish, Tina Cervasio, Mike Olahan and Dave Verdi. Forty years? Wow. The support from the Belleville community has always been good, and I’ve always appreciated and will continue to respect the process. Thank you again. 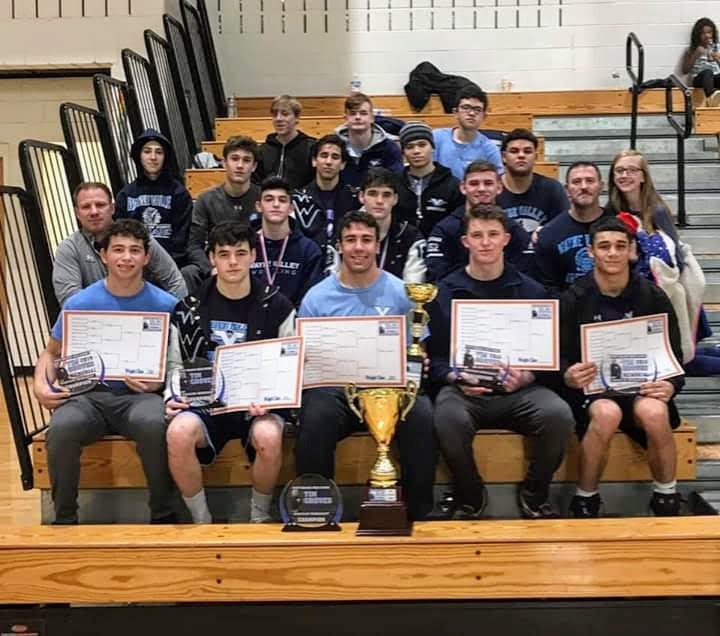 A 14-4 record, and what should be a good performance at the Passaic County Tournament, highlighted the Wayne Valley wrestling team’s final run toward the end of the regular season. Coach Todd Schroeder’s team is headed to the county championships, on Jan. 26. The team will host St. Joseph of Montvale, on Jan. 30 and will close out the regular season on Feb. 1, at home, against Passaic. The Indians will then prepare for the state sectional tournament, which begins on Feb. 4. Wayne Valley could be seeded as high as second in North 1, Group 4, which would give them a first round home bout and, with a win, a home match in the sectional semifinals two days later. The Indians last won a sectional championship in 2014. 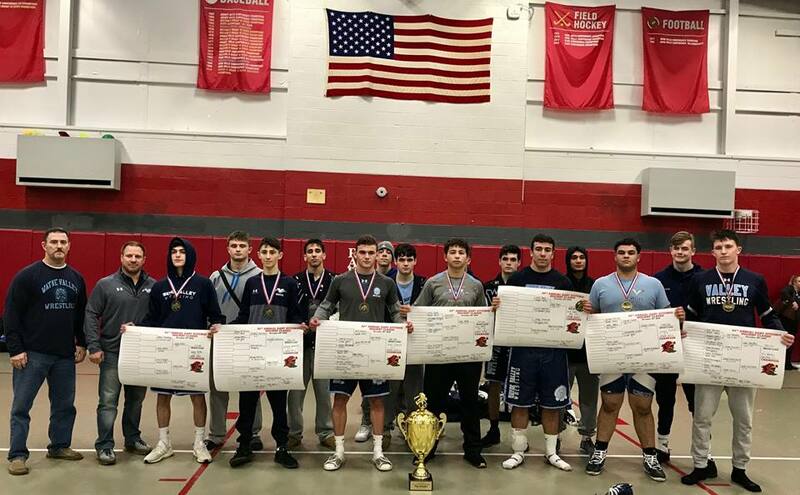 Wayne Valley put itself in good position for this year’s sectionals with wins against Passaic Tech, 40-28, on Jan. 23, as well as sweeping a quad, on Jan. 19, versus Morris Knolls, Whippany Park and Randolph. “We’re wrestling well,” said Schroeder, who in addition to 14 wins, has guided Valley to three tournament championships. “We’re getting healthy and looking forward to the county tournament and the sections. Wayne Valley had fallen behind PCT by a 28-0 margin through the first five bouts, four of which were won by fall. The match began at 113 pounds. Wayne Valley began the comeback at 145 pounds when Matt Jimenez won by decision and Elijah Lugo, who bumped up to 152 pounds, followed with a win, also by decision, making it 28-6. Pins by Nick Duncan (160) and Reid Colella (170) narrowed PCT’s lead to 28-18 and Dan Murphy prevailed by major decision at 182 pounds to cut the deficit to 28-22. One of the biggest wins for Valley was at 182 pounds when Selim Maksut pinned his opponent in 1:49 to tie the match at 28. Nick Trani gave Wayne Valley the lead for good, 34-28, with a pin at 220 pounds and the Indians heavyweight, Jordan Botero, secured the team win with a hard-fought 3-2 decision. Attila Valy wrapped it up for Valley with a victory at 106 pounds. The eighth Jim Silvestri Memorial Wrestling Match will be held at Belleville High, on Feb. 1, and a big crowd could be on hand, as the Bucs take on Nutley High, starting at 6 p.m.
Belleville’s resurgent wrestling program, under the direction of Joe Pizzi, should make this year’s match even more special. 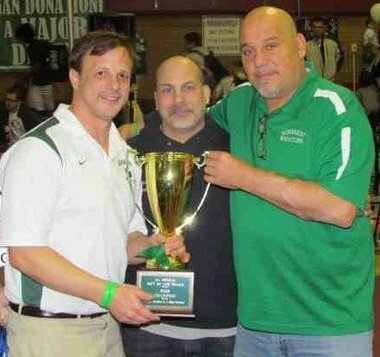 The tournament began in the winter of 2012, to honor the memory of Silvestri, who is credited by many for establishing the Belleville High wrestling team as one of the best in Essex County and Northern New Jersey, in his role as head coach. 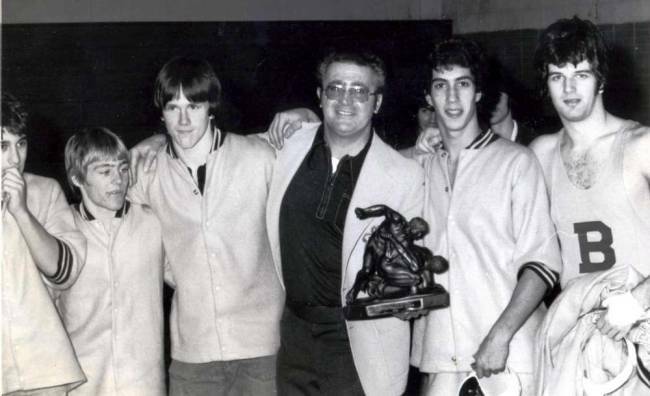 Silvestri led the Bellboys for a decade before giving up the reigns in the fall of 1976 to become Belleville’s athletic director. Silvestri remained the AD for 14 years, before retiring in the spring of 1990. He died on Nov. 29, 2010. Having attended Belleville High during the Silvestri era, I remember Jim as not only a tremendous coach, but an excellent mathematics teacher at BHS and a friend to many. His easy-going personality made him a popular person in the building. His humbleness was also renown, as he rarely took credit for the team’s success, instead giving the athletes the bulk of the accolades. 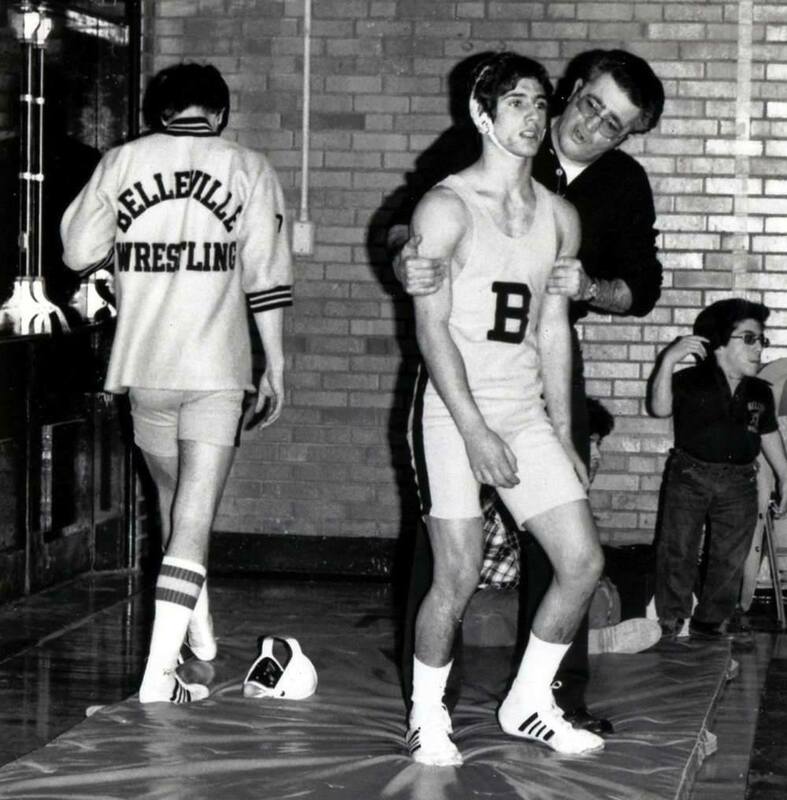 Silvestri’s wrestling teams at BHS had reached a new pinnacle in 1976, when the Bellboys finished 13-1 in the regular season. And, of course, when it comes to great matches, it’s hard to top the one held on Valentine’s Day, 1976. It was a Saturday afternoon, and Belleville was scheduled to host Pascack Hills, a powerful team out of Bergen County. The legend of Pascack Hills was well known. The team, coached by the legendary Bucky Rehain, hadn’t lost a dual match in close to five years. A season earlier, when Belleville traveled to Hills for the first-ever meeting between the two schools, Pascack had won handily. The crowd had arrived quite early for that 1976 match. Since it was a Saturday afternoon, 1 p.m., start, a lot of the fans were there by 11 a.m. In fact, Rehain, a gracious man who returned to Belleville a few years back to honor Silvestri’s memory, recalled when his team had arrived for that match, two hours early, the gym was just about packed. Despite all the hype, Pascack Hills was indeed the consensus favorite, with four future state champions in the lineup. After Belleville’s Carl Arlt had won the first match at 101 pounds, the Cowboys won the next two matches, but one of those wins, a forfeit at 115 pounds, would turn the match around. Silvestri made a tactical move, bumping Vin Mustacchio to 122 pounds and forfeiting at 115, where Pascack’s best wrestler, Tom Husted, was waiting. Husted, a two-time state champion, was indeed the motivating force behind Pascack Hills, and although the Cowboys got six points for the forfeit, some of the steam was taken out of its attack. Mustacchio would win a major decision at 122 pounds, moving Belleville to within 9-8. Pascack then won convincingly at 129, 135 and 141 pounds to extend its lead to 23-8. The 148 pound match would be critical for the Bellboys, as Robert Villano had to wrestle a future state medalist, in Bob Waldron. Had Villano lost, Pascack would have all but clinched the bout, making the last four matches inconsequential. But Villano worked hard and earned a 2-2 tie, which kept the Pascack lead at 15 points, 25-10. Jim Silvestri encourages Bobby Racioppi during a 1976 match. Chris Tremel would begin Belleville’s comeback, with a pin at 158 pounds and Keith ‘Wildman’ Waddell followed with a major decision at 170. By the time Waddell had gotten on the mat, the fans, which had been loud all match long, were in euphoria, sensing the comeback. Waddell’s win cut Pascack’s lead to 25-20, and when Ken Milano followed with a decision at 188 pounds to make it 25-23, the dejv vu was clearly evident, as George D’Alessandro took the mat at heavyweight for the Bellboys. A year earlier, D’Alessandro stepped on the mat in the final match against Essex Catholic, with his team trailing 24-19. Big George would get the pin to provide Silvestri his biggest win, to date, 25-24. Now a year later, D’Alessandro only needed a decision to give Belleville the improbable win, but George, with a flair for the dramatic, would get the pin early in the second period. Belleville won, 29-25, and the reverberation of the gym walls was telling. It would be Silvestri’s last dual match as head coach. Over 40 years later, those who were there on Feb. 14, 1976, still say it was the best high school sporting event they ever witnessed. And that’s why, when the Silvestri Memorial Match is held on Feb. 1, at home against Nutley, starting at 6 p.m., it will be a time to remember a great man, who put BHS wrestling, literally, on the mat. 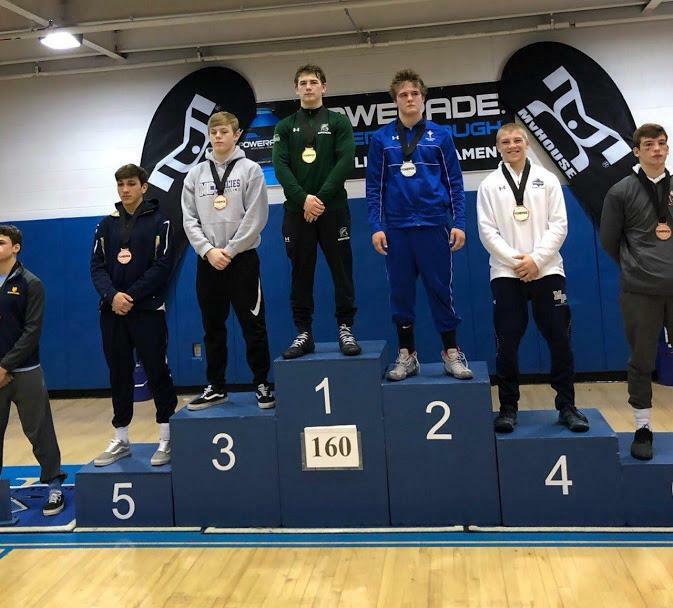 Connor O’Neil’s seventh seed at 160 pounds in the prestigious Powerade Wrestling Tournament was far from a deterrent. 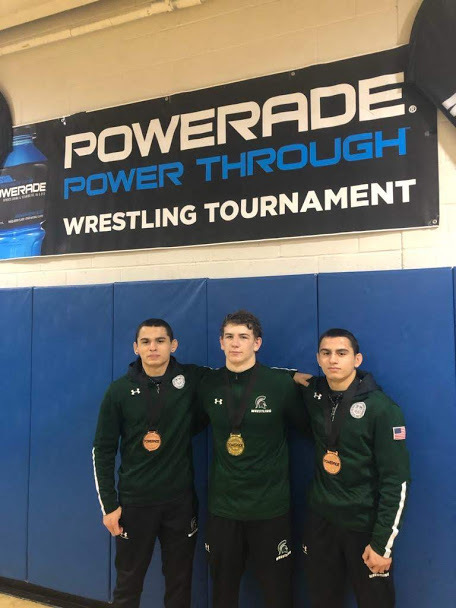 If anything, O’Neil welcomed the challenge, and the DePaul Catholic junior went on to win his weight class, including victories over the top two seeds, on Dec. 28 and 29, in Canonsburg, Pa.
O’Neil was one of three DePaul wrestlers to medal at the tourney. Defending state champion Ricky Cabanillas finished seventh at 145 pounds while Nicky Cabanillas was sixth at 126 pounds. It was the first time in DePaul history that three Spartans earned medals at the Powerade. O’Neil is the second from DePaul to win gold at the tournament. Brandon Kui won it in his junior year, en route to a state title. O’Neil won his first two bouts, by fall and decision, before defeating Seth Holderbaum of Chestnut Ridge in the round of 16, by fall, in 2:27. He then upset second seeded Ty McGeary of West Allegheny, 5-3, to advance to the semifinals, where he won a 9-5 bout over Jack Blumer. In the title bout, O’Neil won a 6-4 decision over the top-seed, Tyler Stoltzfus of St. Joe’s Academy. Ricky Cabanillas earned the top seed at 145 pounds and won his first three bouts to advance to the quarterfinals. After losing a 10-8 decision to Cameron Robinson, Cabanills came back to win his final bout to finish seventh. Nicky Cabanillas, the sixth seed, made to the semifinals at 126 pounds, including a 5-3 win over third seeded Josh Ogunsanya in the quarters. After losing a 4-0 bout in the semifinals, Nicky came back to finish sixth. Nick Bottazzi won a bout at 113 pounds, Derek Russell wrestled at 120 pounds, Michael Esposito captured a match at 132, Luke McFadden won twice at 152 pounds and made it to the round of 16 and Stephen Barone also competed at 170, for DePaul. The Spartans had a relatively quiet month of December, albeit with huge matches at the Beast of the East and Powerade. But now that January is here, the schedule really ramps up. DePaul was slated to face Delbarton, Don Bosco and St. Joseph, in various matches last week. On Jan. 17, the team visits Monroe Woodbury, starting at 7 p.m. and on Jan. 18, there’s a big bout, at home, against Bergen Catholic, starting at 7 p.m. On Jan. 23, DePaul hosts Paramus Catholic, also at 7. The 9th Gift of Life Wrestling Duals, this Jan. 12; the Rose Bowl Parade, 2020, and the Transplant Games coming to NJ highlight a busy time for the legendary Michael DiPiano, Sr. The ninth Gift of Life Wrestling Duals will be held on Saturday, Jan. 12, at St. Benedict’s High, in Newark. The event focuses on the need for organ donation, and is spearheaded by the legendary Michael DiPiano Sr., who has been a staunch advocate for the importance of organ donation, especially after his life was saved 20 years ago last October when he received a new liver and pancreas from a donor. 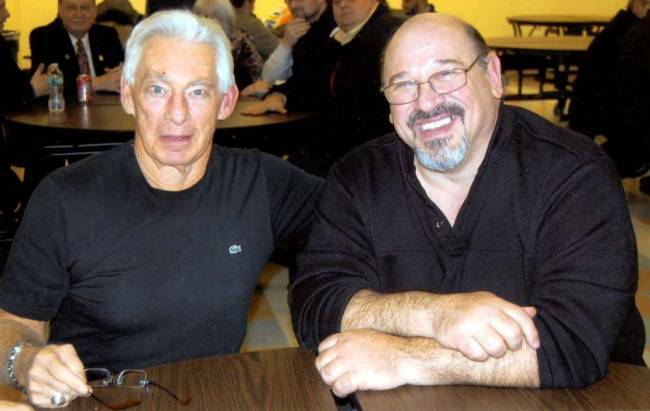 DiPiano had a tremendous career as a wrestling coach and administrator at St. Benedict’s High School. However, his health had taken a turn for the worst over 20 years ago, and at one time, he had the Last Rites administered by St. Benedict’s Headmaster, Fr. Edwin Leahy. This year’s tournament will begin at 10:30 a.m. There are four teams competing, in Nutley, St. Benedict’s, Barringer and Demarest High Schools. The first features St. Benedict’s vs. Demarest, while Nutley takes on Barringer. The second round of wrestling starts at noon, with Nutley facing Demarest and St. Benedict’s against Barringer. Following the second round, there will be a Gift of Life presentation, where DiPiano speaks of compelling stories on how organ donation not only saved him, but a number of other lives in the local area. The Gift of Life Duals began in 2011 and will celebrate its ninth renewal this Jan. 12. At about 1:45 p.m., the final round of wrestling begins, with Nutley vs. St. Benedict’s and Barringer vs. Demarest. The theme of the event is once again ‘Organ Donation is a Major Decision‘, using a wrestling analogy to emphasize the need for people to become organ donors, usually by a notation on their driver’s license. 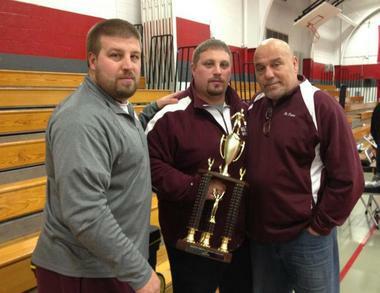 DiPiano’s sons, Michael and Frank are both actively involved with high school wrestling. 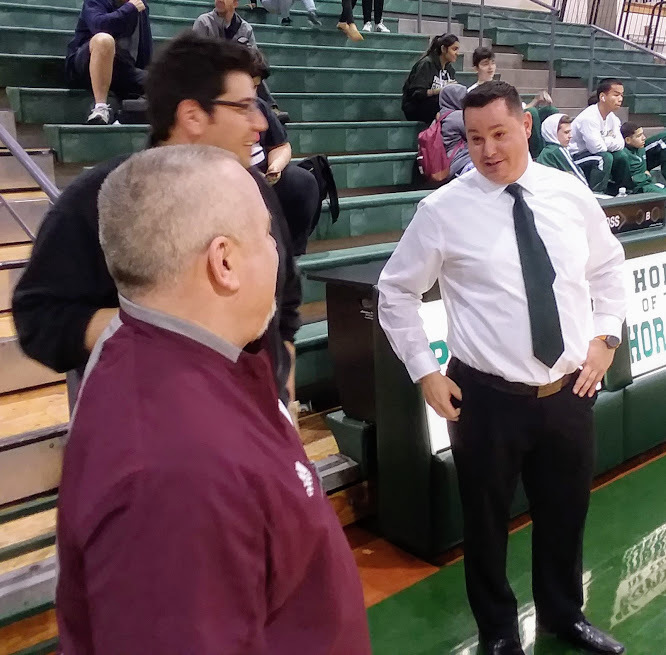 Michael is the head coach at Nutley, while Frank is an administrator at St. Benedict’s and a one-time head coach at Nutley. Before Michael succeeded his younger brother at Nutley, he was the head coach at Demarest. Both Michael and Frank, along with their dad, are enshrined in the St. Benedict’s Hall of Fame. In May of 2011, Michael DiPiano Sr. received St. Benedict’s highest honor afforded to a Lay person, the Medal of St. Benedict’s. 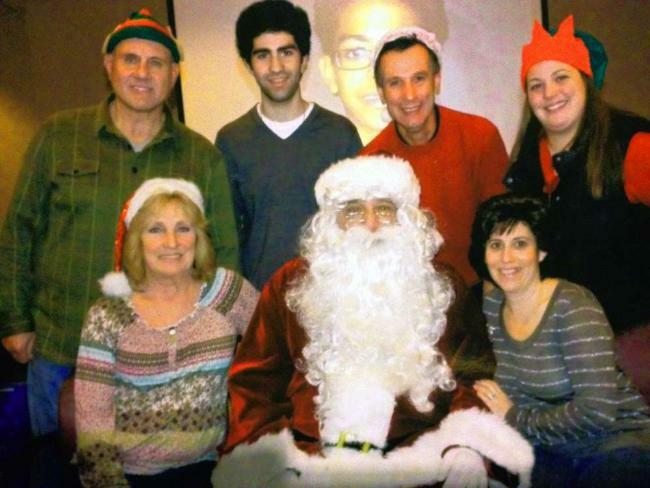 Among the many charitable events Mike attends to is playing Santa Claus for children in local hospitals. This past year was an especially memorable one for DiPiano Sr,, who celebrated his 20th year of good health, after receiving a double organ donation from a young man named Sean, who was killed in an automobile accident on Oct. 24, 1998. A day later, Michael received a pancreas and liver from Sean, who had indicated his desire to be an organ donor, on his driver’s license. 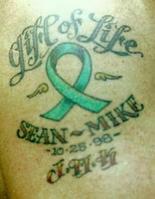 Michael Sr. has a tattoo on his arm, remembering Sean’s sacrifice, with the date 10-25-98, along with Sean and Mike’s name. On New Year’s Day, 2020, Michael DiPiano Sr. will be appearing in the Rose Bowl parade, in Pasadena, California, to be honored for his tireless work on passing the word on the need to be an organ donor. Also, in 2020, the Transplant Games will be held at the Meadowlands, from July 17-22, and DiPiano was on hand last winter, at MetLife Stadium, when that announcement was made. DiPiano has also traveled the globe, competing in multiple Transplant Games, in track and field, while also speaking at many schools and other organizations. DiPiano and his wife, Karen, have been married for nearly 46 years. They have three children, Michael, Michelle and Frank and a grand daughter, Mia, who is in the eighth grade. Rob Carcich admitted that coaching a game at Passaic Valley, as an opponent, felt a little strange. But such was the case on Jan. 3, as Carcich took his undefeated Patriots into Little Falls and came out a winner, 61-47. Hills improved to 7-0 with the win and prepared for its biggest game of the season, against Wayne Valley, on Jan. 8, at Hills. On Jan. 10, the Patriots welcome another strong team, Fair Lawn, to its gym, for a 7 p.m. game. On Jan. 13, Hills takes on Dwight-Englewood High, at St. Joseph Regional, in Montvale, starting at 2:30 p.m. and on Jan. 15, Montville comes to Wayne for a 7 p.m. start. Carcich had spent 12 seasons as Passaic Valley’s head coach and put together 11 straight winning campaigns, as well as a state sectional championship, in 2007 and a conference title in 2013. He had won over 200 games at PV, before stepping down to take an administrative role at Passaic Valley after the 2015-2016 season. Now back on the sidelines as a coach, Carcich found the game at PV a little surreal. Hills had all it could handle from a young PV squad before putting the game away with an 18-10 fourth quarter run. Jake Belli had a tremendous game for Hills, with a game-high 21 points while Nebi Ademi and Pulast Thaker scored 12 each and Jason Sanfilippo had 10 points. All of Hills’ points came from its starting five. Holsworth had a lot of praise for Hills and Belli. 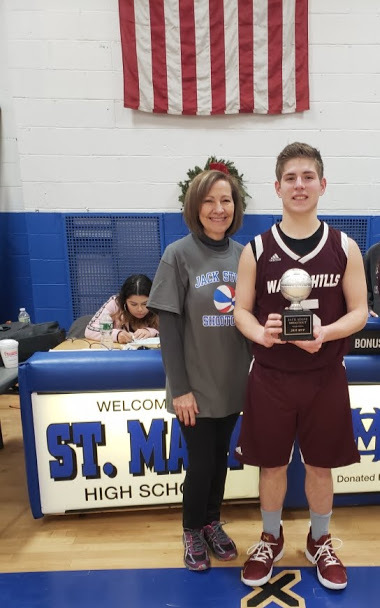 The Patriots had a good week during the Christmas holiday, winning three games and the championship of the Jack Stone Holiday Tournament, at St. Mary High, in Rutherford. Hills defeated Perth Amboy, 57-26, on Dec. 26, Indian Hills, 63-33, on Dec. 28 and St. Mary, 79-45, on Dec. 30. Belli led Hills in scoring in all three games and was named the tournament’s outstanding player. Make it three tournament championships in three weeks for the Wayne Valley High wrestling team. 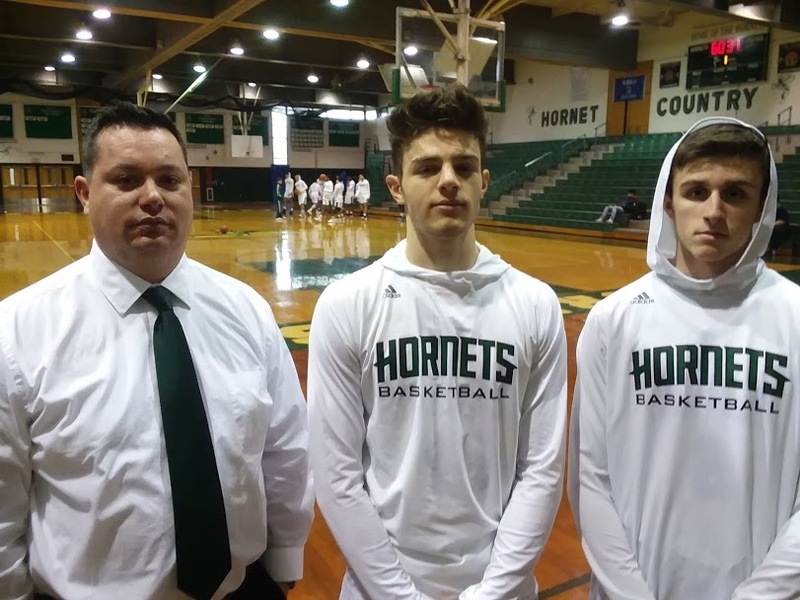 Head coach Todd Schroeder’s Indians captured the Parsippany Holiday Tournament, on Dec. 29, to go along with winning the Hopatcong and West Orange tourneys the previous two weekends. A busy time awaits the team, which was scheduled to wrestle at West Milford, on Jan. 4 at 7 p.m., and at home, in a big time quad, on Jan. 5, against North Hunterdon, Raritan and West Essex, starting at 9:30 a.m. On Jan. 9, Wayne Valley hosts Wayne Hills, in a 7 p.m. start and on Jan. 11, Passaic Valley comes to town, also at 7. On Jan. 12, the Indians visit Ramsey, beginning at 9 a.m. A busy schedule continues with dual matches at Lakeland, on Jan. 16 and Fair Lawn, a day later, with both of those beginning at 7. Schroeder hasn’t let up in his praise for the team’s early season success, as well as the need to continue to get better. At Parsippany, the Indians had seven champions in Michael Antonuccio (106 pounds), Andy Roth (113), Nick Duncan (160), Reid Colella (170), Dan Murphy (195), Nick Trani (220) and heavyweight Jordan Botero. In addition, Matt Jimenez finished second at 138 pounds while third place finishers for Wayne Valley were Adam Zindaki, Sean Hammer, Elijah Lugo (145) and Selim Maksut (182). 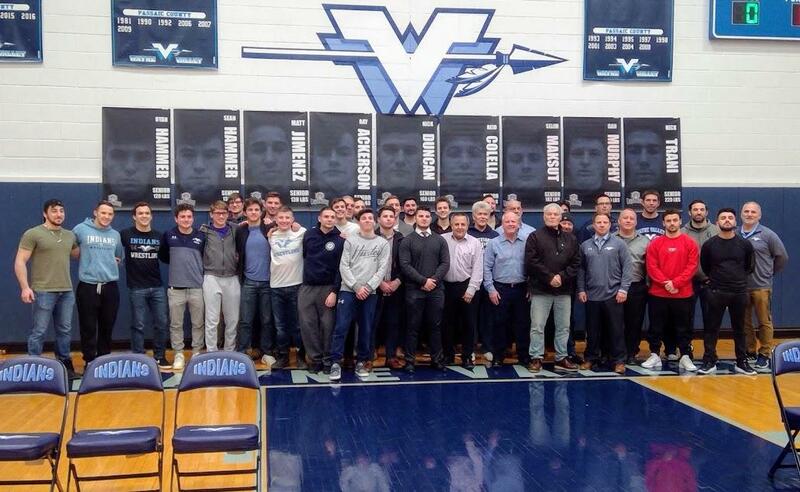 This was the 54th straight year that Wayne Valley competed at the Parsippany Tournament. Schroeder also noted the solid performances of Trani and Colella.